This class teaches students to write and publish fiction, non-fiction and poetry using a variety of games, graphic organizers, self-editing tools and arts & crafts. These hands-on classes will provide consistent instructions to unlock the budding writer and make writing an activity your students will ask for. Students will learn to plan, create, research, self- evaluate and publish their writing projects in a variety of forms, such as a booklet, matted copy with borders, lap book, flip book, accordion book, display board, and many other forms. In addition to writing narratives in several genres, students will read and summarize a short story, write a literary response on a grade appropriate novel, write a personal story, create a book of poems, and research, write and present a report. Each 2 to 3 - week lesson will include grammar, journaling, and specific requirements for the lesson genre. Whether you have a more advanced child or one who is just learning the writing process, this flexible program will allow your child to work at their level and succeed. Student assignments are not graded at this level; instead, encouraging comment are made to encourage creativity and foster a love for writing. 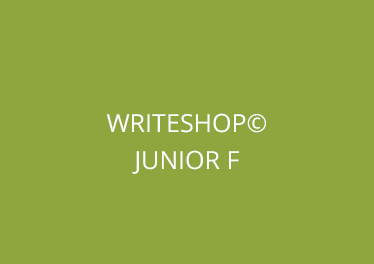 Each WriteShop Jr. class is independent of each other; there is no perquisite. Lesson 4: Writing a Historical Fiction Story (Narrowing Topics) Grammar: Writing from various POV’S 1st, 2nd, 3rd, Ltd. Omniscient, 3rd POV Ltd. Omni. Tuition Cost: $500.00 per year for first child, $441.00 if paid in full on or before the first day of class or monthly payment of $50.00. Sibling Discount Available.